I am probably one of the most contradictory people I know. I 100% believe in buying handmade and paying more for original designs, handmade items and things made with love, but on the other hand I'm not one of those people who can make a handmade pledge to only buy handmade - I just don't have the funds for it. So I figure if I am going to buy cheap mass production jewellery I may as well buy it directly from the source anyways. If you read my last post on my market day set up, you will know I'm a serial internet trawler. I constantly google shop, travel, restaurant and tailor reviews. What did we do without the internet? So I figured since I have a camera and a blog, I should probably help 'pay it forward' by adding my own online shopping reviews to the mix. So most of you are aware that most of what we buy in our home countries are made in china anyways, so there is actually a website which groups wholesalers or basically just cheap stuff together for you to indulge your online shopping habit. The only thing is since mid-last year paypal stopped their association with aliexpress, not because of anything dodgy but I think most people who choose to shop with them choose other payment options anyways so it wasn't super profitable. This would probably also be a good time to tell you this is NOT a sponsored review or anything, I'm just passing on my personal review in the hopes it might help someone whose deciding whether or not to purchase some things online. The good thing is aliexpress protects you if you use visa/mastercard etc. So on to the review. I recently purchased some items from JY Jewelry. I ordered them on 27th April and received it on 8 May. They have a minimum order of $15 but you can mix and match anything you want AND there is free shipping. Given that this stuff is cheap and it's made in China, my expectations were not high in terms of durability or quality, just something cute and cheap, in this aspect I am very pleased with my purchases. not adjustable, a bit small but sturdy. Gold owl ring + silver owl ring $0.99 - I couldn't decide on which one to buy so I got both and I'm going to gift one to a friend so I don't have to choose! Excuse my stumpy fingers - I'm short! The above pictures are what the rings look like on. This is what the stacked bracelet looks like when it is on. This was the most 'expensive' item at $3.99 and given that the cheaper items were of a good quality for the price I would have expect more for this one. 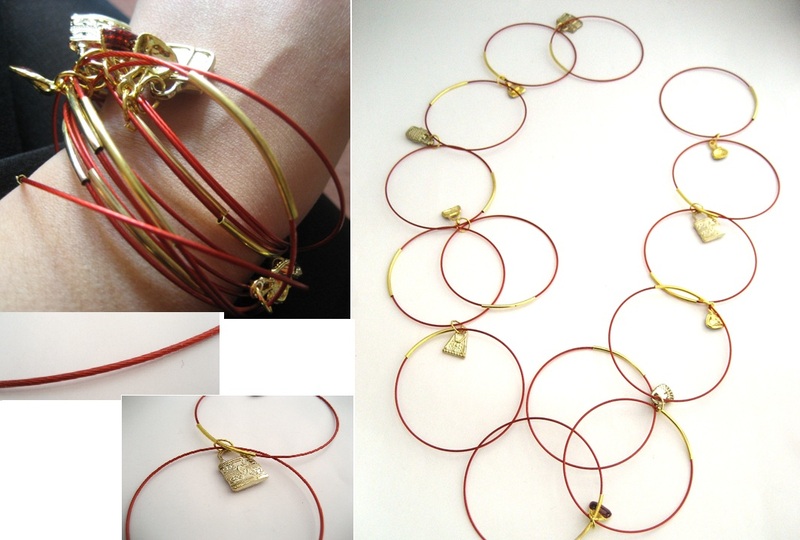 The actual bangles are made up of transparent red cover wire and are slotted into gold bands, not glued. I stretched them a bit to wriggle them up my arm and one snapped. It was easy enough to put back together, and the charms are cute, but given that I could have got a few other items for the price, this one was not as worth it. These earrings are both quite cute and not heavy at all. Both are quite true to the online picture, but the one on the right ($1.12) is definitely the favourite. As it was pointed out to me the ones on the left ($1.16) looks like solar panels. This is the second set of bracelets I purchased. It came in a set of three bangles for $1.50. Anyways hope this review will help some of you who need cheap jewellery or wanted to dip your feet into the world of wholesale purchasing. Thanks Mel...i wanted to buy online but i was researching on its pros n cons..ur review is really helpful specially with the images displayed..it gives a good idea..can u tell if your stuff came by sea or air?? Thanks for taking the time to stop by and comment. My items came by air mail and took around 11 days, which is not bad as I was expecting up to 1 month as it was free shipping. Hi Mel! I have a doubt.I recently purchased jewelries from Aliexpress for more than $50, but all of them are from the different shops. Do I need to make a minimum purchase of $15 from a single shop? Please help! Thank you. It depends on the shop. It will usually say in the item title or description. The bracelets looks cool and stylish. Nice shopping. I love that style. Lovely Collection of Bracelets and Rings for women. All Rings and Bracelets are looking stylish and fashionable. Wow, Very nice information‼ It's really great because we need such type of information for our daily life … Here I am also provide the relevant information such as Women Ethnic Kurti.